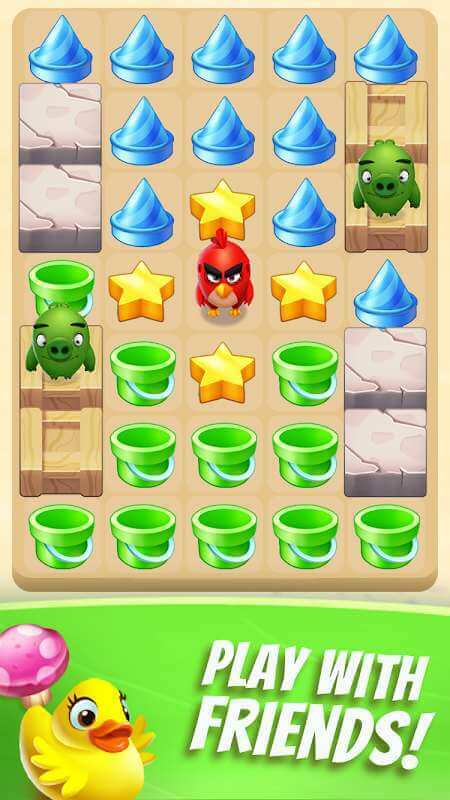 When it comes to crazy birds in Angry Bird, people are already familiar with slingshot images, along with the attacks, destroying the construction of the green pigs. Although with their bravery, the birds are still tricked by the other rogue green pigs and rob the eggs. Let’s infiltrate the pigs’ lair, and rescue the eggs waiting for the day of hatching with Angry Birds Match game. 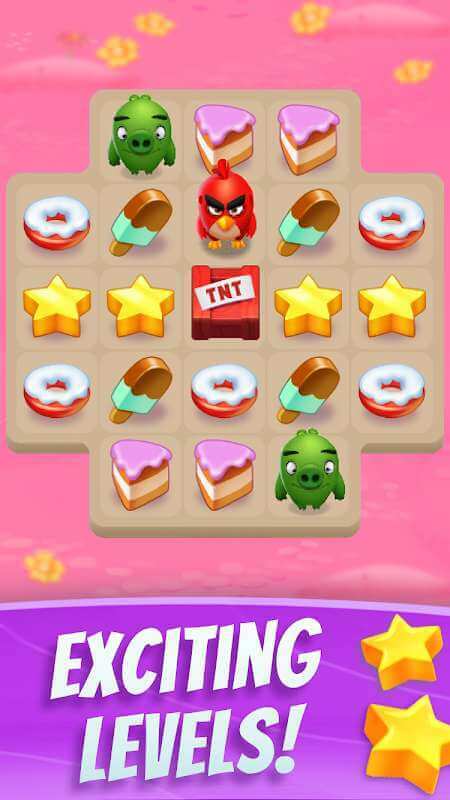 This is a familiar match-3 puzzle game, similar to Candy Crush Saga or Bejeweled but there are the birds from Angry Birds in the central theme. Surely, this combination will bring many exciting things here! Coming to Angry Birds Match, your mission is to rescue more than 50 young birds kidnapped by blue pigs. Great assistants to help you complete your mission are powerful birds like Red, Bombs, and Chuck. 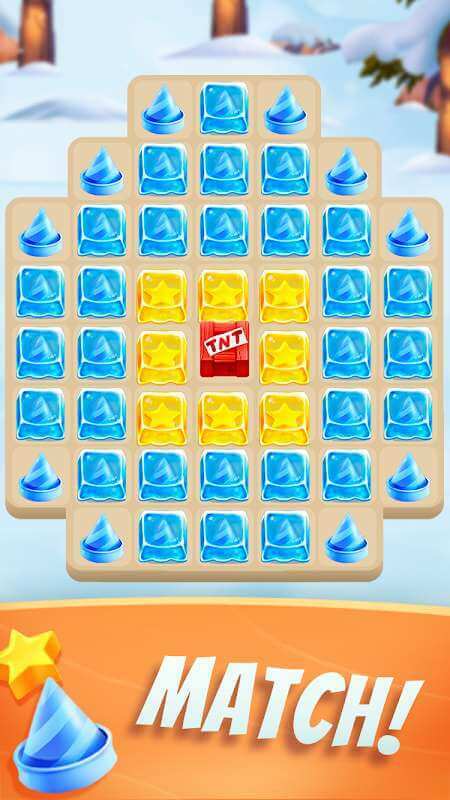 Concerning gameplay, similar to Candy Crush Saga or match 3 games of the same genre, you will put similar items, or characters, into a straight line to score points. The same objects that you’ve just folded will disappear and make room for new objects to appear. In each game, in parallel with placing objects and scoring points, you must also fulfill the requirements provided by the system, namely destroying green pigs or achieving a certain point. However, the difficulty level is gradually increased as you play at higher levels, which limits your number of moves in each game, therefore observe before making progress. Because just a few small mistakes, it is enough to lead you to lose the game. Show some tips, try to combine as more objects as possible to take the special bonus. Then you will create the birds in your game screen; these birds will help you kill the pigs quickly, and score for you the higher score. Especially difficult games, if you don’t create a play strategy, it’s hard to overcome. Besides, every time you pass a stage, you will save the young birds from the evil green pigs. The game offers over 50 adorable little birds for you to collect. Moreover, new maps were also opened, from the beach to the mountains and the desert, each with a lovely setting, giving you a more relaxed feeling. Rovio Entertainment provides players with a bright graphics platform, with extremely vivid colors. Moreover, this time the designer doesn’t stop at just a few familiar birds like Red, Bomb, and Chuck. Angry Birds Match also has a collection of more than 50 birds, colorful and adorable for players to collect. On the background, players will discover much beautiful scenery, and quite large areas such as beaches, forests, caves… the scenery of nature, bringing the airiness and freshness, bringing to the player feeling like being on vacation. And finally about the light effect that makes the screen shining all the game. Every time the player arranges objects of the same type into a row, they will explode and emit light that looks very good. In short, if you want to find a game to relieve stress after working hours, Angry Birds Match is a great choice. 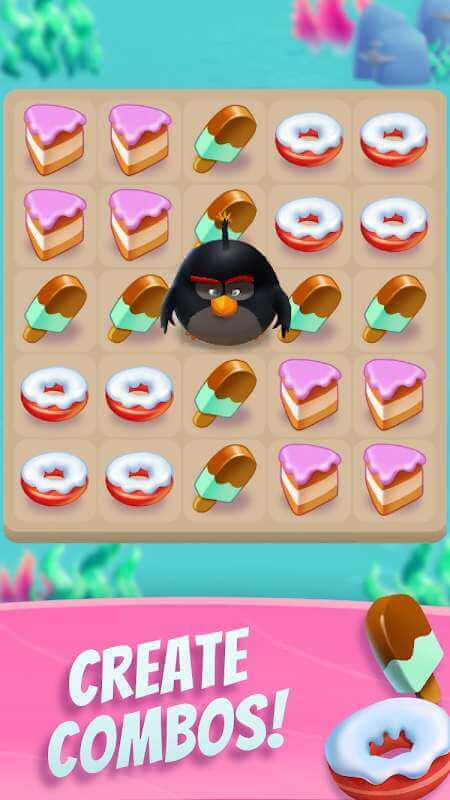 Not only does the game have simple gameplay, fun style, description of the battle to rescue the young birds, players can also connect this game with facebook account and compete with their friends.